HPower Group delivered catering and entertainment for more than 500 veterans and their families who had taken part in the Service of Thanksgiving in Westminster Abbey and VE Day Parade earlier in the day, along with an exhibition of period military vehicles and replica aircraft in St James’ Park. 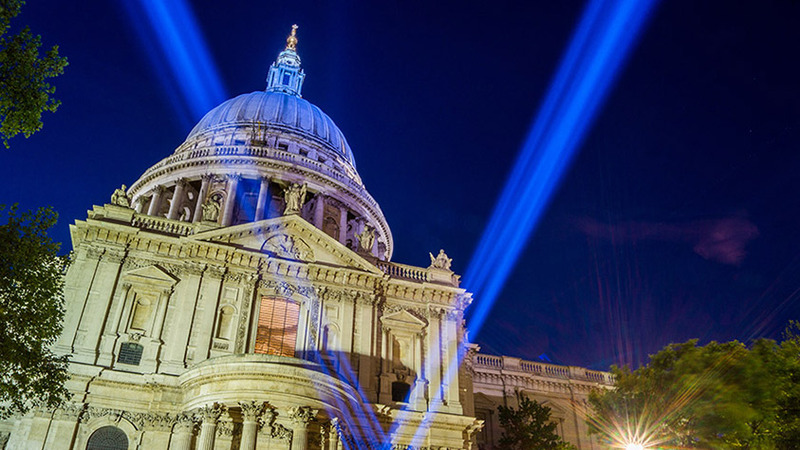 HPower also recreated the searchlights put out on VE Day that formed a V over St Paul’s Cathedral; these were extended to Trafalgar Square and the Palace of Westminster; from Tate Modern we used one of the original 1945 searchlights to illuminate St Paul’s. All accreditation for the event was run through the HPower accreditation system. Working with all the various stakeholders, HPower ran an event that kept the veterans right at its heart. The enjoyment that they had from their participation was transparent to all.